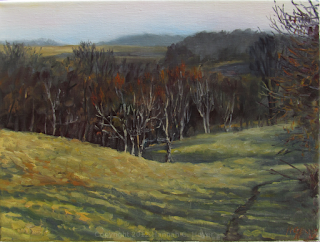 Up until a couple of days ago the landscape still clung to November, with its cool browns and gray-greens, hazy light and long shadows. Then the snow came. 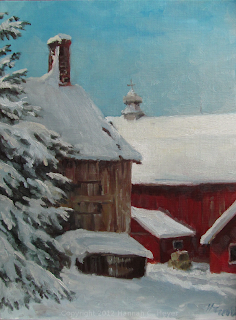 Heavy, wet, sticking snow, cloaking the pines and capping the chimneys. 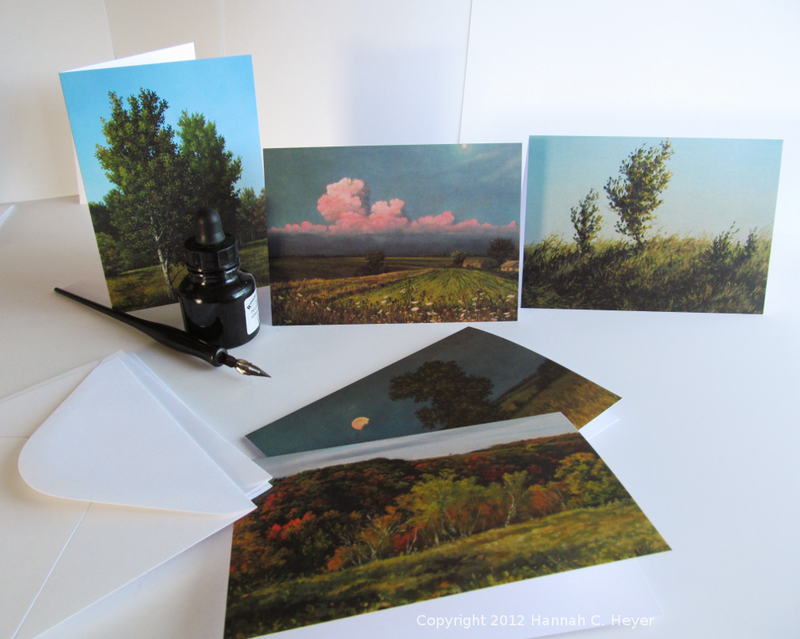 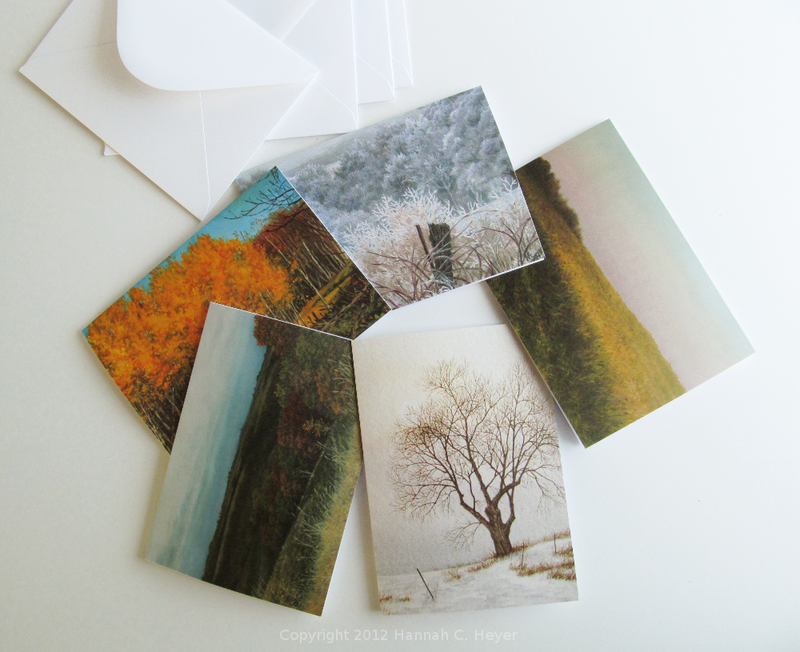 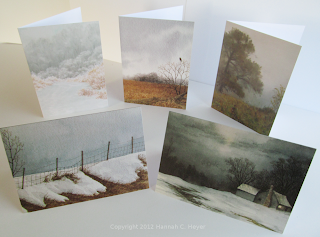 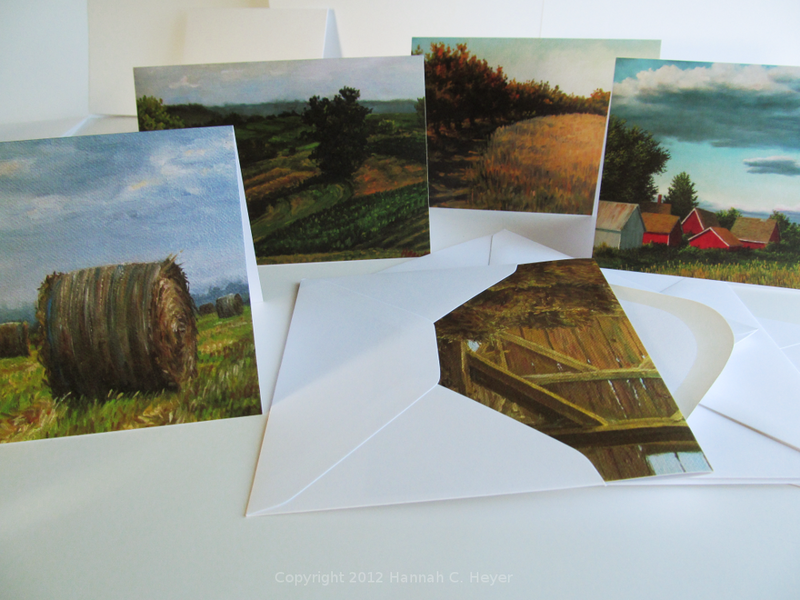 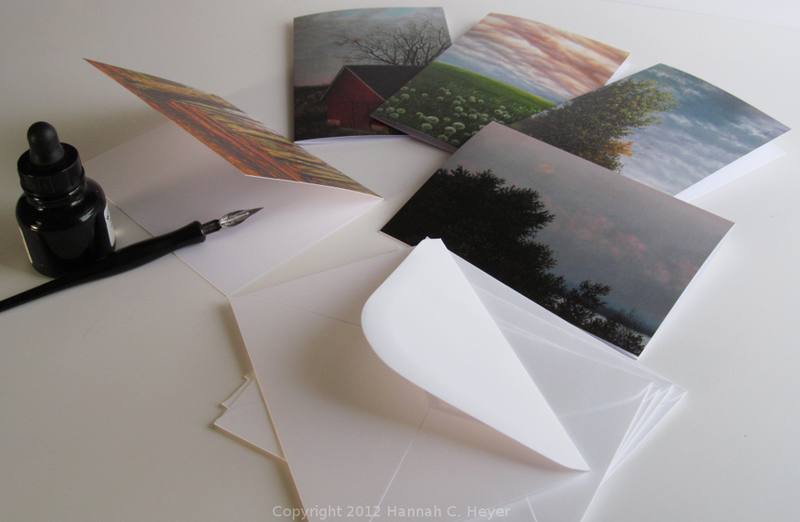 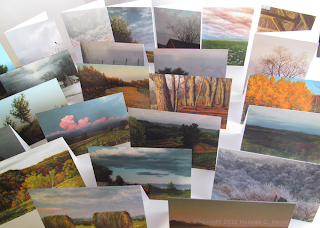 I just got some new greeting cards printed with images of my art, you can find them online here. Set of five cards, pictured with my trusty pen and favorite ink!